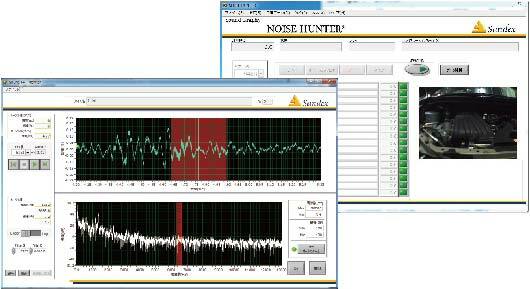 Noise Hunter® can visualize the noise sources on the picture of object with sound level contour map. 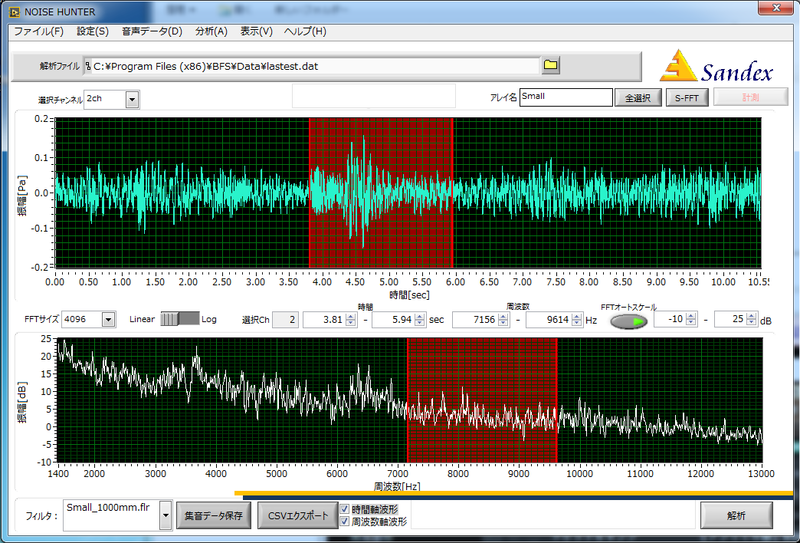 Defining the point of abnormal noise and its level will help you to analyze and take the countermeasure correctly. 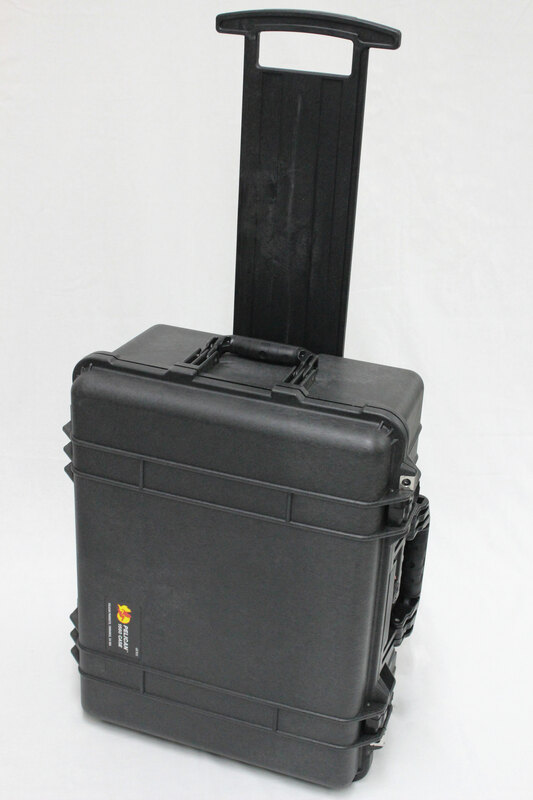 Noise Hunter® has the array with multiple microphones for beam forming and a camera for object picture. Noise Hunter® displays sound level contour map by beam forming processing on the picture of the object taken at the same time. Noise sources are defined by seeing the contour map. 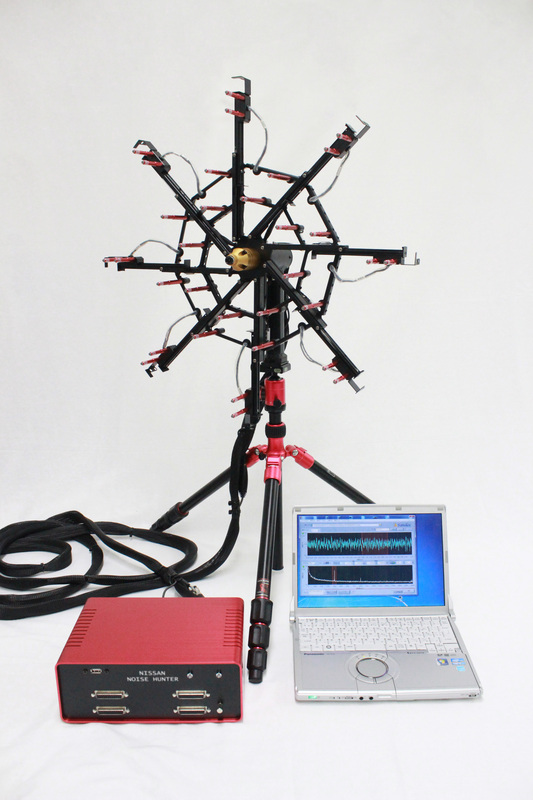 Operation software is simple, and also designed to get highly precise noise source finding. 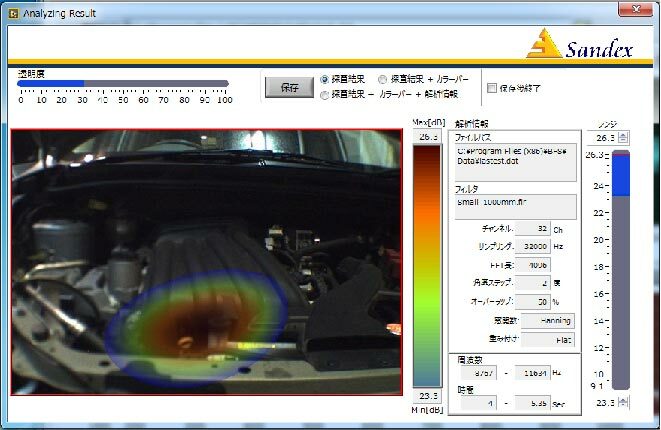 In addition , by using tachmeter the Engine rotation is able to be displayed simultaneousiy(optional item). The array with multiple microphones is expandable to focus on the specific sound frequency range and improve the solution. Operation processing software is simple, and can get results easily. Measured data can be put the title and stored in the PC, so data will be recalled later and can be analyzed in the laboratory desk. Depends on the HDD capacity of the PC. 2013 SANDEX All Rights Reserved.